Younger Daughter has gotten very adept at French braiding, so frequently I'll ask her to do my hair. Yesterday we were heading into town, so I asked if she could braid my hair. I sat down in a chair and she took up the brush. "First let me get the hay out," she said, picking at various strands. This is pretty normal. Sometimes it seems I wear half the contents of the barn after feeding the beasties in the morning. I guess this makes me a hayseed. You apparently "get into" your work (or it gets into you). Better start practicing! That baby girl will be grown and out of the house in a minute. It's not hard to do once you get the feel for it. The trick to it is in the pinky fingers! Thanks for the photo.Beautiful, beautiful, beautiful! No no no! That's a stock photo, not my real hair (mine is dark brown with long gray streaks in it). I just wanted to show how pretty her braiding is, because in real life the braid does indeed look that good. Sorry for the confusion. LOL...like tiarosa I also thought it was a photo of YD's hair. 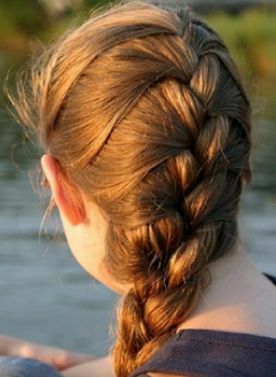 I would also love to see yours in a braid. French braiding is the best way I know to keep my hair out of the way without getting a headache like I do with a pony tail, bun or regular braid. Ouchie! ....it's that "without a headache" that's the best part. Genuine hair accents could be viewed as the latest trend in farm chic. Perhaps there's market for selling hay hair accessories on Etsy! Patricia, that's brilliant! We could use little bits of moss and clumps of rooed wool from my sheep! Etsy here we come! lol! And I know it's already been around for a few millennia, but who ever really gets tired of feathers? If that's not a traditional fashion go-to, what is? 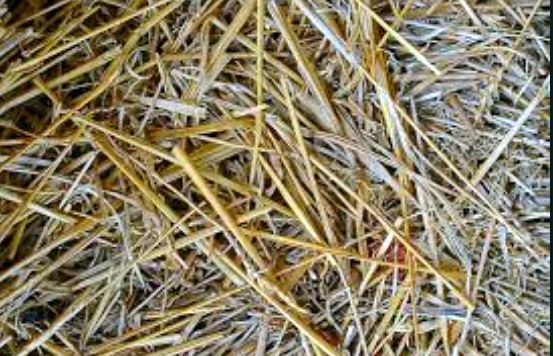 in england, mad people in bedlam often had straws in their hair, thus the expression 'he has straws in his hair' to denote madness.